One of the projects in the revitalization of Learning Circuits Blog has been the establishment of a data set for capture and resulting metrics. I thought it might be of interest to share our work in this area. The purpose for creating a trackable set of data and corresponding metrics is simply so that we will have an idea as to whether or not we are succeeding at this blogging venture. Simple purpose however, does not necessarily lead to simple implementation. Two factors contributed to this being a rather extensive task. 1) We had no data collection practice in place and 2) Blogger, for all it’s great features, just doesn’t collect data for their free users. From these raw data we can build metrics to determine in what direction, if any at all, LCB is moving and why. There are all the ratio metrics (i.e., posts per day, comments per post, zero activity days per month, etc.) and comparison metrics (i.e., August was twice as active as July, or Clark leads all Blog Squad members in postings). Total Activity - Posts and Comments are weighted equally. It seems a better representation of the work that is being done by the Blog Squad. Unique Visitors vs. Returning Visitors - This metric seems to indicate that we are drawing people in, but not doing enough to have them return in a timely fashion. Total Activity vs. Page Views - this has been the real surprise thus far. The ratio of page views per post or comment seems to have settled in at just aound 24-26 pages. Including in August when Activity tripled and page view followed suit. It's too early to know if this consistency is a coincidence or whether it will turn out to be a dynamic predictive metric. Are there metrics you see as key when looking at a blog? Do you know of any benchmarking sources for blog metrics? Do you track metrics for your blog? If so, care to swap info with LCB? One well-understood simulation genre is game-based models. With the goal of “making learning fun,” students engage familiar and entertaining games such as Wheel of Fortune®, solitaire, or memory, with important pieces of linear or task-based content replacing trivia or icons. More diagnostic than instructional, game-based models nonetheless might be the technique of choice by traditional educators and training groups looking to quickly goose their reputation, student satisfaction, and even effectiveness. Game-based models also introduce, in the purest possible way, game elements that all educational simulation designers will need to understand in the near future. Do people know of other toolkits for game-based models? One well-understood simulation genre is interactive spreadsheets. Interactive spreadsheets focus on abstract business school issues such as supply chain management, product lifecycle, accounting, and general cross-functional business acumen. Students allocate finite resources along competing categories at successive turn-based fixed intervals, and each time they watch their results play out on dense graphs and charts. This is often done in a multi-player or team-based environment and often with facilitators. The subtlety, unpredictability, and variability make them appropriate for training b-school students and high-potential supervisors through the direct reports to the CEO. They are often the cornerstones of multi-day programs to align a fractured department or organization by building shared knowledge and understanding. Do people know of other great authoring tools? One well-understood simulation genre is branching stories. In branching stories, students make multiple-choice decisions along an ongoing sequence of events around what to say to another person in a given situation. The decisions impact the evolution of the story, ultimately terminating in either successful or unsuccessful outcomes. Their ease of use, ease of deployment, and content style make them highly appropriate for entry-level salespeople, call center representatives, freshmen, customer-facing retail positions, and entry-level managers. Any high-turnover position should be trained, although not exclusively, using branching stories. Companies like WILL Interactive have advanced the genre to handle more moral and complex situations, making them also appropriate for higher-level employees as well. You can also use PowerPoint, although it is tricky. Do people know of other branching story toolkits? I have been thinking a lot about life of content. A few different dichotimies seem to frame conversations. Staged vs. Organic: Staged events are one-shot. They need significant pre-establisehd processes and project management. They use up a lot of advertising and communication. Organic approaches are more incremental. They use small layers to build up over time. Television shows are staged, but they can also evolve over many episodes, as writers seize onto relationships, or the right directors are found. Organic content lifecycles stress less perfection up front, and often more feedback. Transient vs. Peristent : This refers to the size of the window of availability, and/or the timeliness of the material. Even these can be fuzzy. DVDs should be totally persistant, for example, but advertising and shelf-issues make them somewhat more transient. Also, as with movies, there is a perceived success (being number one on the charts) that drives more success, and more of a staged content approach. DVDs can also make movies a bit more incremental, with multiple versions available. Computer games can also have various versions, and can also be patched on the fly. Controlled vs. Community: Is their one-voice shapping this or multiple? Mods for computer games can subvert a very controlled piece of content. From a formal learning perspective, I always ask, how can I get the training group out of the way? How can the community generate the content, and how can the training group help that? Is there a "so what" for these lenses? I think so. One is to recognize our own biases, and accept that these biases might be interfering with coversations with sponsors. The other is to recognize the current trends that are pushing towards incremental, persistant, and community, and selectively embrace some of this approach, and challenge others. When talking about platforms, the opposite of a single monolothic approach (cough Windows cough) is small pieces loosely joined. So what is it that can/does loosely join our small pieces of learning? Is it our PC? Outlook? The database in Google Desktop Search? Our PDA? Is it our organization? Our annual review? Our interests? Company? Career? Industry? At the end of our day, it is probably summed up in our résumé, our sometimes forced, often surprising organization of the things we have demonstratably done. But at the heart, we are our own platform, constantly both writing to others and being written upon, vastly ranging in productivity and capability. I would say for the last few hundred years we have probably been Human 2.0. And we are getting close, I think, to v3. It is a symbol of "old school" training. It is a joke, a dinosaur, a deep sea anchor. It wastes billions of dollars of office space in filing cabinets and cubicle shelving. It is THE TRAINING BINDER. We, the Learning Cognoscenti, "prove" our own credentials to the world by openly disdaining them. '"What to do about the classroom binder?' you ask. 'How about dig a deep hole and throw them all in!'" Then we chuckle and drink our cognac and tighten our smoking jacket. And yet there are still a lot of them being produced. Almost every classroom experience, and there are a lot of them, support the activity with binders. Conferences do as well, I need hardly mention. I, as dutifully as the next speaker, turn in my PowerPoint stack for inclusion in whatever event I am part. I also helped build a workbook to support rolling out next-gen-sim Virtual Leader, which significantly increased usage. So it might be worth a few moments to, with appropriate humility and pragmastism, reflect upon what are some of the tools available that can make for a good binder. Three-ring rather than bound, so that users can dynamically and deliberately add or subtract what they want or don't want. What are your thoughts? What should or should not be part of a well constructed binder? For many an Instructional Designer, design follows analysis, with its main function being to identify all the important things that need to go into a course. Its end product is a curriculum, syllabus, or blue-print to build the learning module on. Next comes development, which adds content so as to give depth to the end product of design. This mainly consists of the adding of "information." Context is also used to add a third dimension to the design puzzle -- layers of activity so that the learners gain a variety of viewpoints, thus allowing them to gain experience with the information in a relative safe manner. This mix of design, development, and context should theoretically help the learners build their knowledge and skill bases. Yet this combination often fails because it leaves one important piece of the puzzle -- Emotionally Evocative Design. While Instructional Designers normally are quite good at ensuring that the important parts that build content, such as objectives and outcomes, are entered into the design equation; the total design process needs a second layer that captures the emotions of the learners so that they actually want to engage with or use the content. For example, a good metaphor invites the user to reflect over the information by asking her to relate the new information with a past experience. A good picture invites two senses into the mix. A problem begs for closure. A critical piece of information delivered "just-in-time" is utter relief. What have you done lately to ensure that your designs are emotionally evocative? Why build a Spanish LMS? 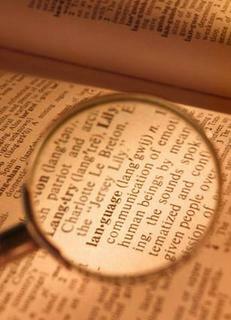 Spanish is spoken by almost 400 million people worldwide. Even more compelling, when you realize that about half of the population in the Western Hemisphere speaks Spanish, it becomes the primary language for as many people as English in this region of the world. Within the United States, Spanish is the second most widely spoken language after English, by a very wide margin, and the Spanish-speaking population within the U.S. is growing as a percentage of the total U.S. population every year. · According to the U.S. Census, the number of Hispanics in the U.S. grew by 57.9% between 1990 and 2000 – from a total of 22.4 million people to a total of 35.3 million people. This figure means the United States has the fifth largest Hispanic population worldwide (trailing Mexico, Colombia, Spain and Argentina – just barely behind Spain and Argentina). · Of this group of over 35 million people, well over 3 out of 4 say that Spanish is their primary language. · Within the United States, a total of over 28 million people speak Spanish at some degree of fluency. A few states have a large percentage of these Spanish speakers – California has 5.5 million, Texas has 3.4 million, New York has 1.8 million, and Florida has 1.5 million. · In the U.S., the 28 million people who speak Spanish at home is well over half of the approximately 47 million people who speak a language other than English at home. That means that Spanish is spoken by more people than all other languages combined within the U.S.
· The 35 million Hispanics in the U.S. as of 2000 was projected to be close to 40 million people as of 2003. Moreover, by 2050, the number of Hispanics in the U.S is projected to grow exponentially to over 100 million people. At that point Hispanics will be about one quarter of the total U.S. population. That’s over triple the 2000 figure in a 50-year span. · In the New York City area, the newscast on the Spanish-language Noticias 41 and Noticiero Univision, often have higher ratings than ‘the big three’ network news shows on CBS, NBC and ABC. · Approximately 5.8 percent of Internet users speak Spanish, making it the 4th most common language among the Internet community, trailing only English (about 50%), Japanese (about 8%), and German (about 6%). · A recent study of 25 metro markets in the U.S. found that Spanish-language programming was the sixth most popular format. · Over the past decade, the demand for Spanish Language courses worldwide has just about doubled, and the demand is almost as close in the U.S. According to Paula Winke and Cathy Stafford of The Center for Applied Linguistics rapid demographic changes and an increasing recognition of the critical need for professionals who are proficient in languages other than English (Brecht & Rivers, 2000; Carreira & Armengol, 2001) have led to an interest in developing language programs and classes for "heritage language learners". These are students who are raised in a home where a non-English language is spoken and who speak or at least understand that language (Valdés, 2001). The fastest growing heritage language population in the United States is Hispanic Americans (U.S. Bureau of the Census, 2001), and the number of Spanish speakers studying Spanish is on the rise. As a result, language educators are developing programs, classes, and instructional strategies to address the needs of these students, which are different from those of native-English-speaking students studying Spanish as a foreign language. Appropriate instructional materials are essential for these classes, which are often referred to as Spanish for Spanish speakers (SNS) classes. Although the development of SNS materials has a 30-year history, and many new SNS textbooks and materials continue to appear, developing a well-articulated sequence for SNS instruction continues to be a challenge (Peyton, Lewelling, & Winke, 2001). So is anyone listening? Here is a tremendous opportunity for this large group to learn new career skills using their native Spanish language. Are we so Anglophile that we do not care? Let me know. I always value and look forward to your opinions on these important subjects. There were some incredible learnings and observations as I quietly watched the news gathering and assembly process and interviewed the Learning team at CNN. Many of these items relate directly to how organizations will be assembling content in the near future. The question is, will educational institutions be one of these organizations? Below I have take some of Maise's descriptions of CNN and put them besides a gross and likely over generalized observation of higher education. Yes, there are numerous exceptions and counter examples to every one of my points, but as a whole, when you read how CNN operates and put it besides how your higher education institution operates, the contrast should be rather vivid. CNN: Content From Multiple and Unconventional Sources: The nature of content in journalism is changing dramatically as media flows from non-traditional sources. CNN calls an aspect of this "Citizen Journalism" as they receive pictures and video feeds from digital cameras and even mobile phones. Education: Content comes nearly solely from instructors and "trusted" resources like publishers and "refereed" journals. And content from students would be suspect or written off as "cute" but not useful. Is there an equivalent of Citizen Teaching? If so it is the inspired individual's effort of placing a tutorial or resource on the net. CNN: Content To Multiple Formats: As content was created in the CNN newsroom, it flowed to multiple formats. Content started as video feeds, became streamed video, text on the website and even a mention for a scroll at the bottom of the screen. Each piece of content was "tagged" as it came into the newsroom, timecoded, meta-tags were added with context and it could be viewed by CNN staff around the world in low-res format. The concept was to see each media object as being highly reusable and redeployable. Education: Content primarily text, email, PDFs to print, hand coded/Dreamweaver-ed HTML, and.. PowerPoint. Media objects are un-reusable, un-findable, and in-redeployable and would never be available in this kind of time frame. CNN: Digital News Gathering: The footprint and format for news production is changing radically as the size and mobility of equipment evolves radically. I watched newsfeeds coming from CNN reporters using satellite phones (after the cell network dropped). They were even feeding content that was edited on laptops in the field using Final Cut Pro. Education: Not much to compare except we do not think of educational content being created "in the field" or with portable devices... while some are moving towards laptops in place of desktop computers, they are used primarily in the same vein (a laptop on the desk). We still print a lot of material or offload this printing to students-- we do not "think"/"operate" primarily in digital, and much of what we do digital is the digital equivalent of print. CNN: Content Repository: CNN operates a content and media repository that is quite impressive. The content objects are viewable, editable and sharable. Key levels of data is kept for how each object is being used and deployed. Digital Rights Management is tracked, to honor the appropriate use of each media object. I was struck by how easily every CNN staff person could access and work with this content repository. Education: This is still a dream, despite years of wrangling over "Learning Objects" and the construction of numerous "repositories" few if any that have the features described above AND as much content. Data on the use of objects is absent and DRM is spotty. CNN: Rapid Development: While CNN clearly has a breaking news model, it was fascinating to watch this process in action, including use of templates, collaborative and team-based editing and content refinement, focus on content ethics, standards and legal/compliance issues. I witnessed a team of professionals, drawn from a wide set of backgrounds, deeply focused on producing content that had value for viewers and the hurricane's victims. Education: The development cycle is measured in months, perhaps as summer projects or long term grants, and is pretty much an individual cottage industry. Editing and development are solo projects. So, how does Big U stand up to CNN? I was thinking about Clark's (the other Clark) post on learner rights, and then the broader learner marketplace. One of the trickiest parts about development of formal learning programs is that so often, the learner only has a passing relationship to the cost of the program. Enterprise training programs are paid by the corporate, military, or government sponsor. Their goal is usually some form of increased productivity or compliance. Any vendor has to care more about meeting the need of the training director, and the training sponsor, than the end learner. Even the cost of the classroom environment is often subsidized by the enterprise, penalizing e-learning, outside classes, or even training outsourcing. K-12 schools are paid by taxpayers, not the students of course, nor even the family directly (even a family that goes on lavish vacations, for example, gets their education subsidized (of course if they have big houses, they also big property taxes; and then there is the private school whammy, where they are paying twice...).). As we are also learning, some K-12 activity is subsidized by softdrink/juice/water vendors, that come with strings attached. There are grant based subsidies that push activities in one way or another. And there are more subtle subsidies, making land cheaper than building supplies or technology, relative to other building projects. Of course, K-12 is required of students, which can be considered an anti-subsidy (increasing its cost to the student, while still interfering with the learner marketplace). Lack of choice for any required course also represents an anti-subsidy. These are just a few examples from the K-12, Higher Ed, and enterprise world. But every subsidy and anti-subsidy distorts the natural value proposition away from the learner marketplace. Getting over all of these will be our challenge for the decade. Note: This blog post has been subsidized by my most recent book, Learning By Doing. New book review here. As usual, Ernest Adam's column in GamaSutra is spot on. In this case, it's about Player's Rights. In the article, he lists characteristics of games. To be respected for what they already know. To know why the learning is important to them. To have the most effective and efficient learning experience possible. To be expected to be a partner in the learning. To have information resources when useful. To have an appropriate mix of media. To have the complexity of real life reflected. To be supported both cognitive and emotionally through the learning experience.